Mention a TV antenna to the baby boomer crowd and one is likely to hear windy anecdotes about TV before cable with three or five over-the-air (OTA) channels and “rabbit ear” antennas. Now it’s back to the future as “cutting the cord” has grown more popular and viewers looking to economize on overpriced cable TV packages are returning to OTA television by using an HD antenna. 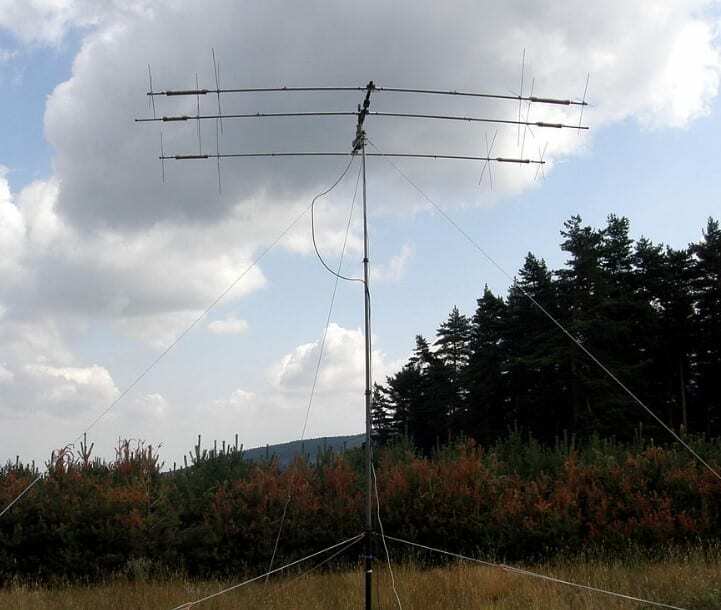 Also called digital antennas, these gizmos aren’t your grandparents VHF rabbit ears. They can be installed indoors, outdoors or in the attic of one’s home. HD antennas capture today’s digital broadcasting technology, delivering superior picture (even 4K UHD TV is available from some antennas) and sound quality compared to yesteryear’s analog signal. Many if not most North Americans could potentially tune in dozens of OTA television channels by using an outdoor HD antenna. While one will see outdoor antennas advertised with a range of up to 150 miles or even 200 miles, most reputable sources cite a distance of 70 miles — maybe up to 100 if a preamp is used. As they say, why pay for commercials on TV when you can watch them for free? In 1996 Congress passed the Telecommunications Act, the first meaningful reset of the nation’s telecommunication laws in over 60 years. Among the many significant changes in the Act was the kickstart provided to the ‘Digital Television Transition‘ as Congress authorized the addition of another broadcast channel to each “full-power station” (VHF/UHF). This allowed stations to simultaneously broadcast both digitally and in analog. At midnight EST on June 12, 2009, all full power analog TV station transmissions ceased; many stations had already ended analog transmissions weeks or even months earlier. 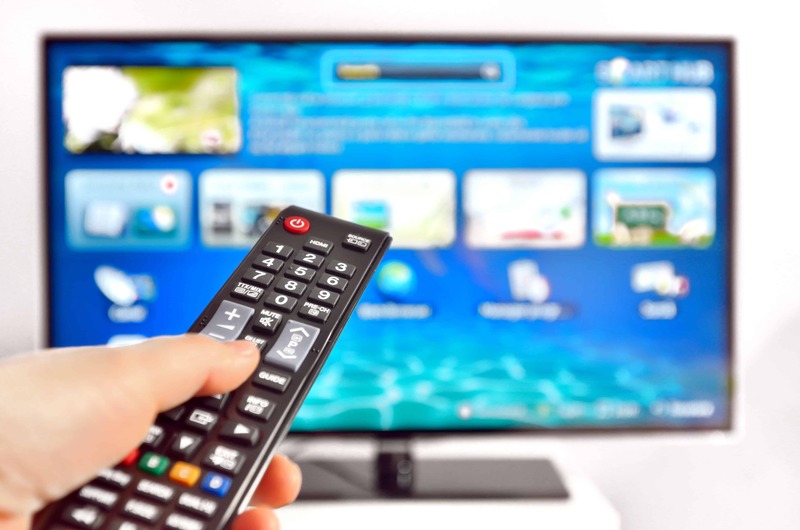 At that moment, most televisions in use bought in the 20th century or early 21st century in the United States became obsolete since they could not receive digital signals. (Stations in Canadian ‘mandatory markets’ completed the transition to digital transmission by July 31, 2012.) Remember the ‘Coupon-eligible converter box‘? It was a subsidized digital television adapter enabling cable- and satellite-deprived Americans to continue watching OTA television. All told, over 33.5 million coupons were redeemed for the converter box. Today, as for the past several years, all OTA television is broadcast digitally. If one is serious about cutting the cord, you’ll find that so-called “over the top” (OTT) programming available from the Internet is sorely lacking in two distinct areas: local news and sporting events. Sure, Hulu, Sling TV and their ilk can provide most of your favorite cable channels but what about your favorite professional sports team? Or the local weather forecast? Even CBS ‘All Access,’ an OTT service, doesn’t stream NFL games or same-day prime-time programming. Most people who have cut the cord utilize an HD antenna to capture local OTA broadcasts, augmented by an OTT service. At this juncture it should be mentioned that broadcast stations air on a frequency or channel capable of carrying subchannels. Viewers may have noticed that, say, Channel 4 on their TV has a subchannel group consisting of 4.1, 4.2, 4.3 and 4.4. This means that the TV station can broadcast separate content on up to four subchannels at the same time. 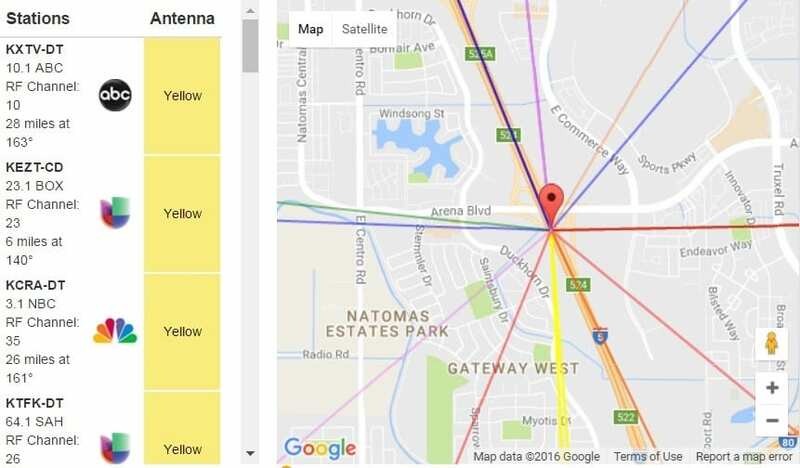 So when using an online tool like https://www.antennaweb.org/Address to see what OTA channels are available in one’s local area (as determined by zip code), one will see “up to X channels from X over-the-air stations may be received at this location.” For example, the 95834 zip code in Sacramento, CA has “up to 69 channels from 31 over-the-air stations.” In this light, one readily sees how big a bang for the buck an HD antenna can provide the OTA TV viewer. Another similar online tool is TV Fool. A handy online reference for OTA programming (as well as cable and OTT listings) is titantv.com. A quick glance at OTA prime time lineup on August 23, 2016 for the Sacramento 95834 zip code revealed over 50 channels available. Login and note the various subchannels and programming for your neck of the woods. If you dwell in an urban area you’ll find plenty of (sub) channels. Add an OTT with its “cable” lineup of 20 to 30 channels and suddenly one realizes the value in cutting the cord. With a powerful directional outdoor HD antenna combined with a preamp, the viewer in the 89534 zip code could potentially tap into broadcasts from San Francisco-Oakland-San Jose and the Chico-Redding markets. A skeptic might point out that the above example is taken from California. What about “Fly-Over Country”? According to antennaweb.org, an aerial HD antenna 30 feet in the air could capture up to 25 channels from 10 OTA stations in Des Moines, IA. Or 23 channels from 8 stations in Tulsa, OK. Or 28 channels from 12 stations in Knoxville, TN. On the other coast, a viewer in Parsippany, NJ could tune in 57 channels from 20 OTA stations. One is sure to find value combining OTA with an HD antenna and OTT programming almost anywhere across the United States. 50% of signal strength is lost by using an indoor antenna. All TVs manufactured after 2007 and sold in the U.S. have digital tuners. Simplicity is best; your goal is to establish a direct connection between the antenna and the TV. Junctions cause signal loss. Each time the signal is split to feed another TV, signal strength is lessened. Therefore a low-noise amplifier may be required to boost the reduced signal. OTA antennas offer the best possible HD image since OTA signals don’t use signal compression to transmit the data stream to your antenna. According to the experts, there’s no “magic” or “one size fits all” antenna. Look for antennas that are tuned to distinct frequency ranges and engineered for geographical obstacles in order to receive the strongest quality signal. Then there is the Yagi antenna, named after a Japanese inventor. It’s engineered to increase the signal gain of the antenna, concentrated in one direction, by narrowing the bandwidth with elements such as directors and reflectors. However, should frequency bandwidth need to be expanded, simply increase the diameter of the antenna conductors. This modification also has the benefit of strengthening the antenna framework by employing elements such as directors and reflectors. The highest quality outdoor HD Antennas are manufactured to Consumer Technology Association (CTA) standards. Formerly known as the Consumer Electronics Association (CEA), the organization recognizes six standards for outdoor HD antennas. Yellow — small, multi-directional (amplifiers not recommended). As alluded to above, outdoor antennas have much greater range than indoor antennas and tend to be more flexible in application. Advice from antennasdirect.com: “Point your antenna toward the main cluster of towers. 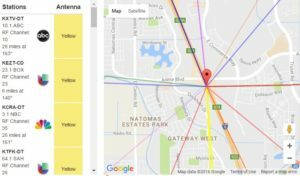 A more powerful antenna can still receive signal from reflections and signal bending.” With these words in mind, let’s return to our example of Sacramento to illustrate how an outdoor antenna could be oriented to receive signals from the greatest number of stations. The center of the map is the convergence of signals from 31 different TV stations with 69 channels. One possible option would be to install a Violet coded antenna and aim it northward toward relatively distant transmitters. 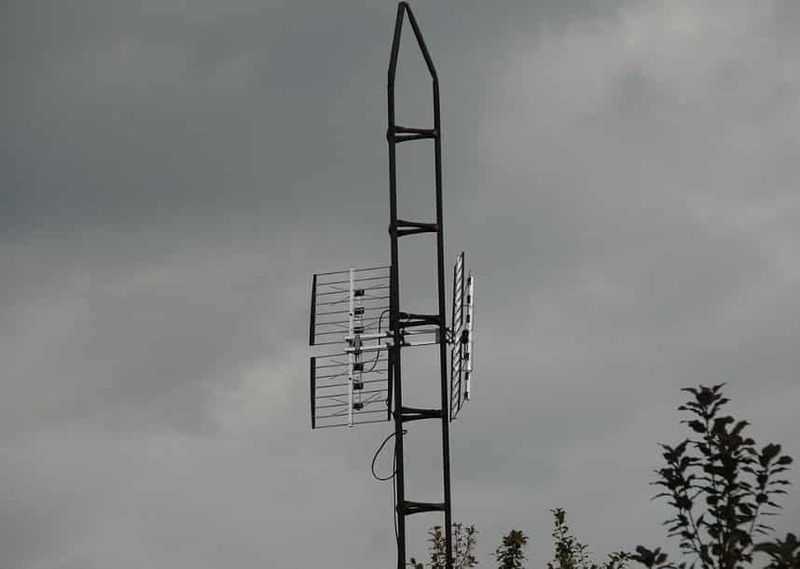 Since the antenna is located near enough to transmitters broadcasting from the south, a powerful directional antenna aimed in that direction would not be needed. Of course, many variables come into play when attempting to divine the placement of an outdoor HD antenna. Geographic and manmade obstructions, topography and atmospheric conditions must be taken into account. Be assured that a measure of tinkering and adjusting is required to capture the greatest number of stations when installing an antenna. After all this, you may come to learn that your local Homeowners Association (HOA) prohibits the use of outdoor antennas in your neighborhood. Or your better half refuses to have some “unsightly” metal “contraption” hanging on the roof of your house. Or you may be an apartment dweller. Thus an indoor HD antenna is called for. Its performance can be improved by installing it in the attic of a home (never the basement) but it will never deliver the range of an antenna installed outdoors. Too, this option is only good for the biggest metro areas since the range of the antenna will be greatly reduced compared to an aerial antenna installed outdoors. There are a number of indoor HD antennas on the market as well as an abundance of online guides to steer you to a specific product. At least some sites are upfront about acknowledging that they receive compensation from a retailer or manufacturer if you purchase the product through the site’s affiliated links. At first blush, your intrepid writer noticed that the Mohu Leaf is one brand hawked by many of these sites. Mohu offers nine different items, some with built-in amplifiers and some not, and they claim their best selling product is the Leaf® 50 Indoor Amplified HDTV Antenna. It’s paper-thin, powered by a USB port from the back of the viewer’s TV and comes with the dubious claim of “up to” 50 miles range. YMMV indeed. The ReLeaf is an “eco-friendly,” non-amplified HD antenna with a reported range of 30 miles. An attribute certain to gain in popularity over the next few years is its 4K UHD reception capability. If Amazon shoppers are to be believed, the loquaciously titled ‘Antennas Direct 50 Mile Range Clearstream Eclipse Amplified Indoor HDTV Antenna‘ is a solid choice with 4.6 of 5 stars rating. An impressive ranking when considering all the variables an HD Antenna faces across a landscape as diverse as North America. Easy setup, portable, paintable and receives 4K UHD. Another highly regarded product is the Terk Trinity Amplified Indoor HDTV Antenna, reported to have a range of 60 (!) miles. Although it doesn’t receive UHD, its three antennas provide a wide range of options for fine-tuning reception. Available at major retailers nationwide. Note that this product differs from the Terk item listed below. A final word regarding TV transmitters — the antenna best suited for your location may well depend on the city where you live. For example, transmitters in the American megalopolises of New York and Chicago broadcast from a central point atop the city’s skyline. In Los Angeles, transmitters are located on top of Mt. Wilson. On the whole, anywhere else across the U.S. will have TV transmitters scattered in every direction. Although millions of Americans have snipped the umbilical cord from cable companies in recent years, the number could be far higher were it not for conflicting information from apparently authoritative sources that gives pause to consumers researching their OTA options or deceptive websites looking to beef up click-through rates (CTR) for their e-tail partners’ merchandise. Thus many consumers remain wary of industry claims and HD antenna performance.